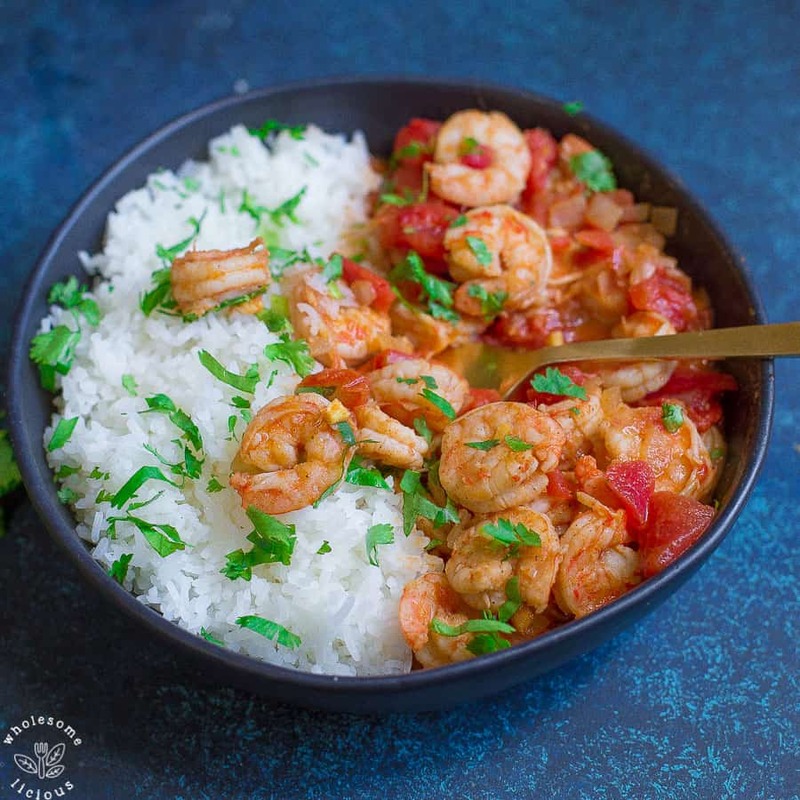 This super simple Coconut Red Curry Shrimp can be made in the Instant Pot or Stovetop. This flavorful dish is so easy for a busy weeknight! Curry lovers, you are going to be over the moon about this recipe. 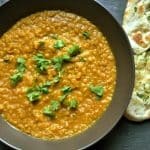 And if you’re not quite a curry lover (yet), let’s fix that!!! I should caveat up front that I don’t eat shrimp. I know, here I am developing a recipe on it, and I don’t even like it. I could lie and say I’m allergic, but the truth is, I am not a fan of the texture. However. 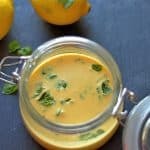 I did try this recipe (obviously), and I am completely obsessed with the sauce. It works well with chicken too. So in order to give you a completely unbiased opinion on this recipe, I had my test tasters give me a thumbs up. And they gave me a HUGE ENTHUSIASTIC thumbs up. So there you go! Don’t trust me, trust the experts. You may also be wondering why I would bother with a shrimp recipe if I don’t eat it, so here is the deal. I am a big fan of mixing up flavors, proteins, and nutrients. When I was creating my 50 Whole30 Instant Pot Recipes. 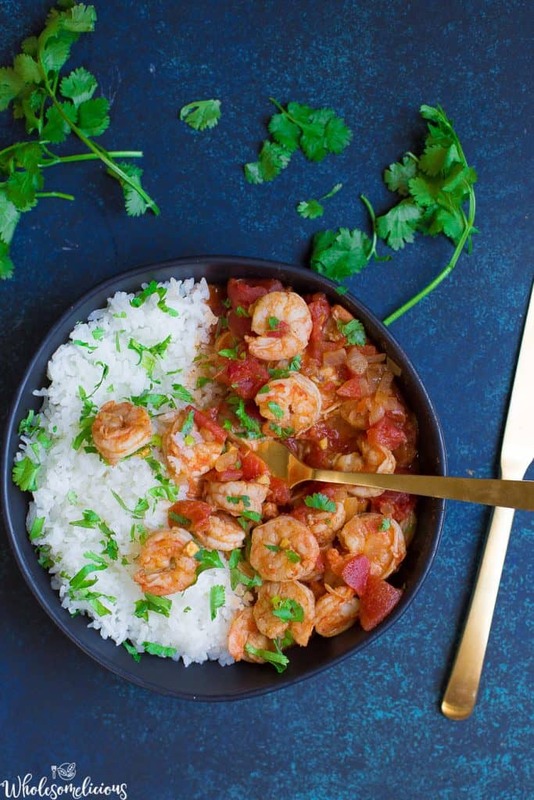 I looked high and low for healthy shrimp recipes in the Instant Pot. It’s slim pickins on the web. 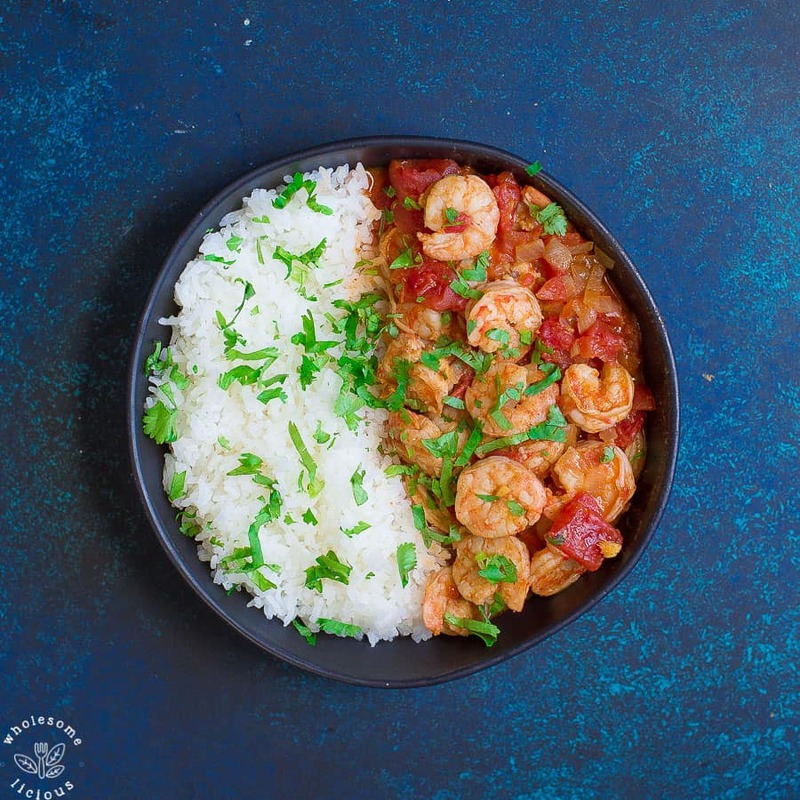 So I knew I wanted to create a Whole30 approved Shrimp Instant Pot recipe. My love for curry runs deep, so this seemed like the obvious choice for me. Plus, I could always save that sauce and use it with chicken. So I’ve given you both directions for the stovetop and the Instant Pot. In this dish, the shrimp is not brought to pressure, only the sauce. This helps the flavor of the sauce enhance, but the shrimp will be ruined if cooked to pressure (way too rubbery). The shrimp cooks after, and the flavor is incredible! Begin my making your marinade. Place coconut milk, spices, lime juice, sea salt, ginger, and garlic in a large bowl. Whisk together, then add shrimp. Toss to coat and let sit while you prepare the sauce. Select the saute function on your Instant Pot. Once hot, add oil to coat the bottom of the pan. Now add onion, ginger, and garlic. Let saute for a few minutes, then select cancel. Now add tomatoes, curry paste, coconut milk, and salt. Place lid on the IP and secure. Make sure the valve is sealed. Select the manual function, and cook on high pressure for 7 minutes. Once sauce is complete, use a quick release on your IP. Remove the lid once all the steam has been released, and select cancel. Now select, saute function and add in shrimp plus juices from the marinade. Simmer until the shrimp is cooked through and no longer pink, about 2-5 minutes. Serve with optional cilantro, salt to taste, and over rice or cauliflower rice. Heat a large skillet to medium. Once hot, add oil to coat the bottom of the pan. Now add onion, ginger, and garlic. Let saute for a few minutes, then add tomatoes, curry paste, coconut milk, and salt. Reduce heat to a simmer, and let flavors develop for about 10 minutes, stirring occasionally . Now add shrimp and the marinade juices to the sauce. Turn heat to medium - medium high. Continue cooking for another 5 minutes, or until shrimp is no longer pink. Serve with optional cilantro, salt to taste, and over rice or cauliflower rice. 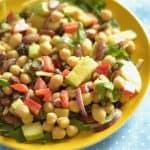 My whole house loved this and I have some picky eaters! This is a very good, easy recipe, especially over riced cauliflower. 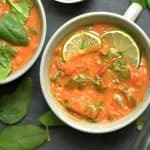 Keep in mind that your choice of which red curry you buy is probably the most important part of the recipe. Mine last night was the Thai Kitchen brand and bland. I should have chosen the one that was more spicy with a richer taste of curry. Oops – wish there was a way to go back and edit reviews. Inadvertently forgot to rate the stars.